Whiteboard (W3002) + Easel (E1002) + Clamp (F4005). 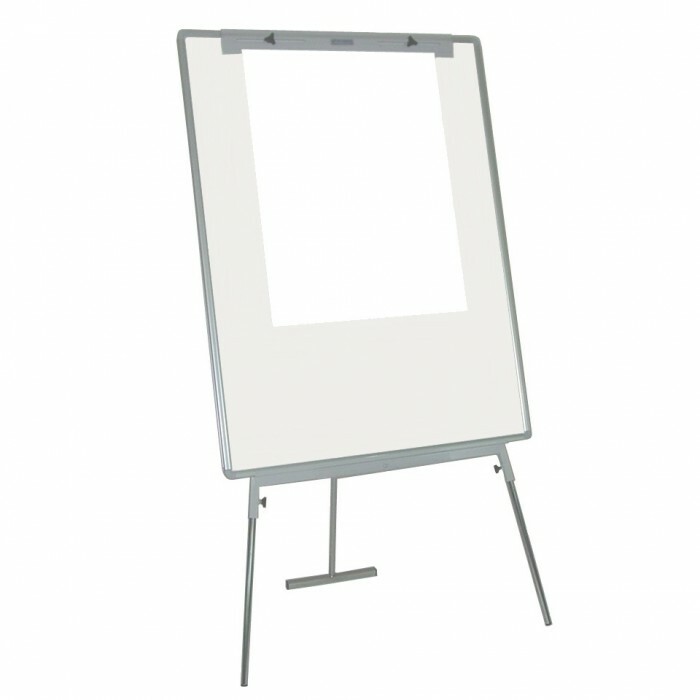 Whiteboard size : 1200mm x 900mm. Easel : Legs are extendable up to 800mm max (to underside of whiteboard). PAPER is available to purchase separately, in pads of 20 sheets - 800mm x 600mm. Ideal for : Meetings, training & presentations.